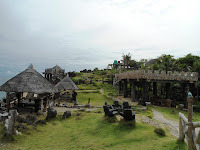 I never thought that I actually went there and see the place with my own eyes. I never plan to go there this year or think it as a place for my vacation. I haven’t take leaves after my last vacation in March at Bangkok & Pattaya, Thailand early this year. Every time I started to think of a good vacation, it’s always delays due to my works, projects and study. I can’t find a suitable time to take a vacation until I decided to booked December as my vacation month. Why December? It’s my December! (go listen to Linkin Park – My December) LOL! 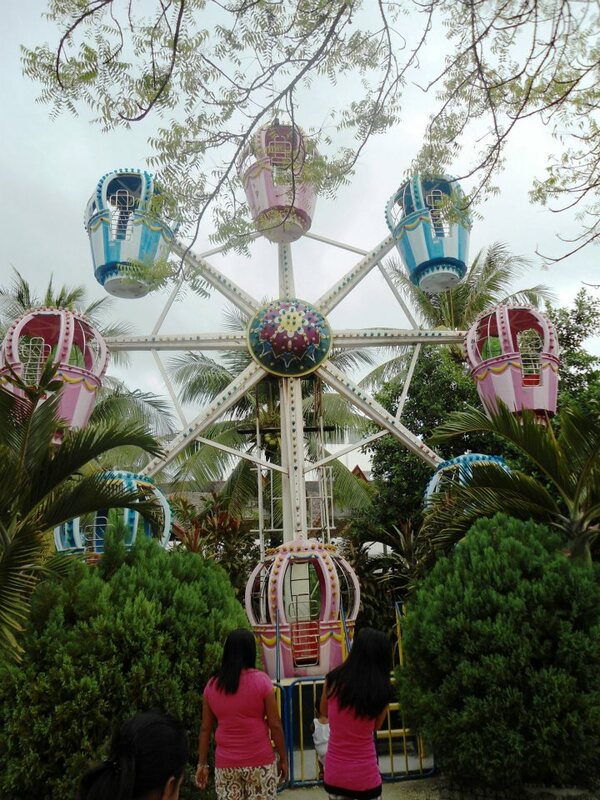 It was one of my wish list that I had planned early this year to have a good vacation on my silver jubilee day. Hahahahah! I missed to celebrate it for the past two years when I said to my friends that I wanted to celebrate it outside the country. *Demanding* so this year is a good year since it overlap with my silver jubilee year. 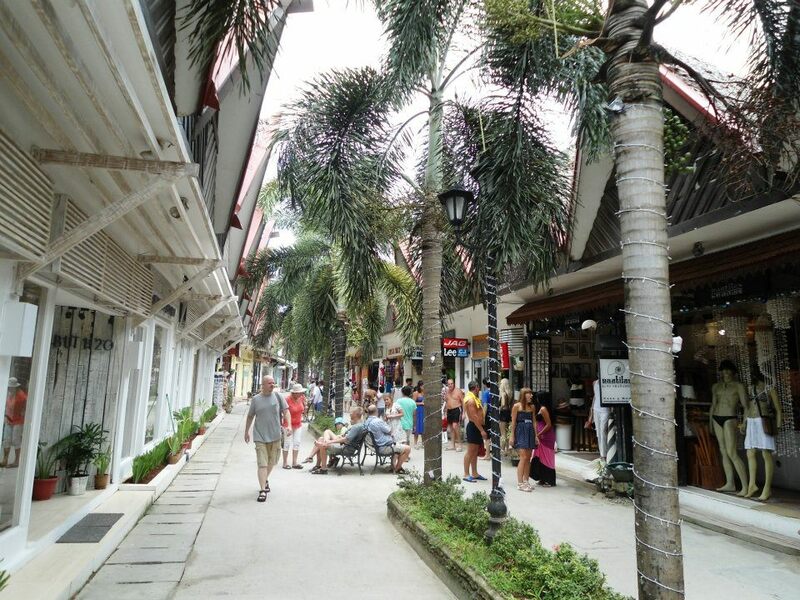 There were few places that I had in mind when I thought of having a vacation which include Phuket, Bali and Langkawi. But these places are too big for me coz I only want to spend few days and I don't think I have enough time to explore most of the places. Then, I ‘google’ and found ‘Boracay Island’. Geez! 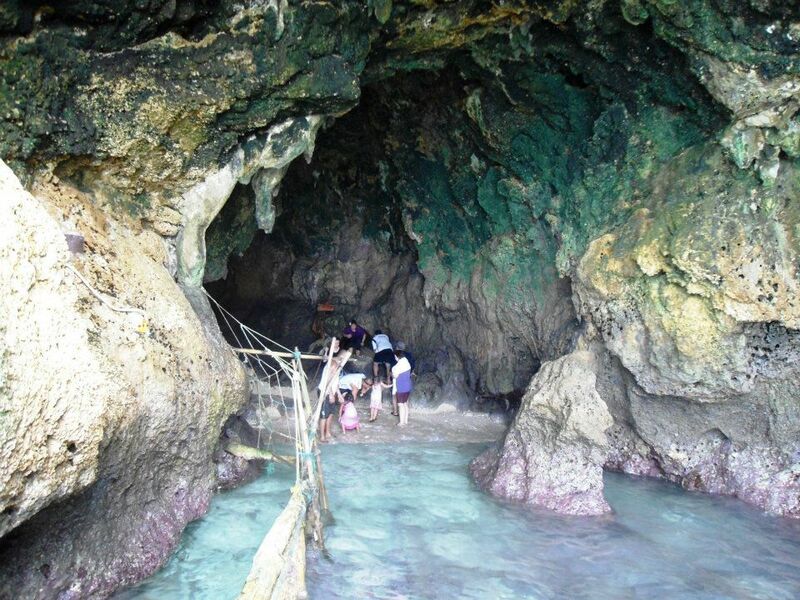 I remember when I looked at pictures taken at Boracay, my mind already decided to go there. I told my friends if they wanted to join me but sadly, no one… lol. They joined or not, I already decided to go there by myself. Haha. 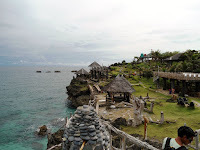 So I did my homework to know more about the place such as; is it safe to go there alone (www.lonelyplanet.com & www.tripadvisor.com), how to get there (www.myboracayguide.com), cheap nice hotel (www.agoda.com), places to see and activities. I did ask opinion from my cousin, Jamie, and my friend, Shasha, who had been there twice and it really helps! The only problem that I had was to convince my mom. She worried that I went there alone and I had to tell her bla bla bla and it didn't take long for her to grant my wish. Lol. I compared the tickets between RBA and Cebu Pacific, it’s more or less the same but RBA using terminal 2 (you have to go to terminal 3 if you are using Cebu Pacific to go to Caticlan). 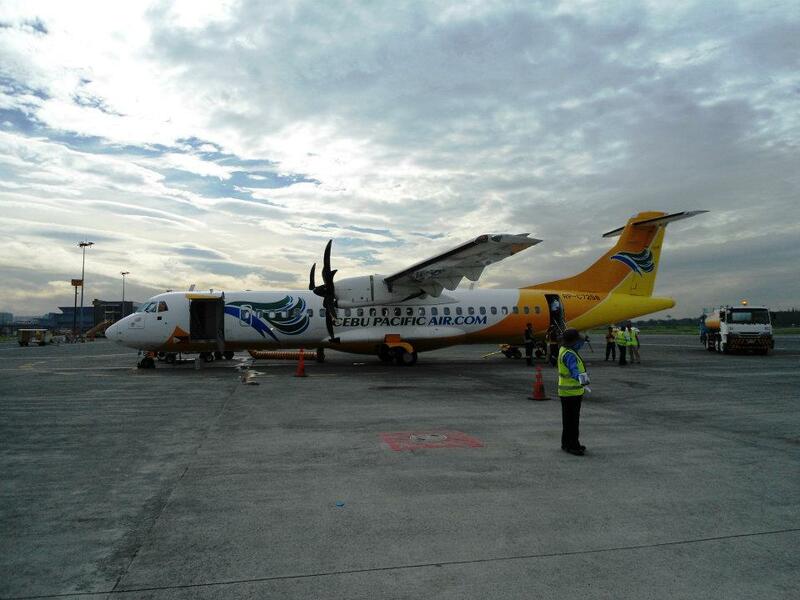 I choose Cebu Pacific coz it saves time and less hassle. It was my first time too to fly with Cebu Pacific and I didn't put high expectation but amazingly the services and the aircraft is way better than AirAsia. Yes. I'm serious. 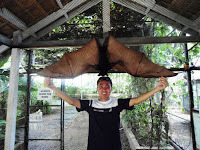 I’m happy to fly with Cebu Pacific! 7th December - The flight departed from Brunei International Airport at 2:30AM and reached NAIA, Manila at 4:30AM. 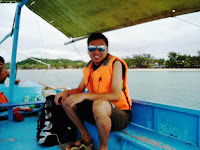 I waited few hours for my next flight to Caticlan (Boracay) at 8:45AM. I had ample time to have my breakfast at KopiRoti café and took a quick nap at departure hall. It was very convenience with Cebu Pacific since they printed all my boarding passes upon checked in at Brunei Airport and I just went straight to departure hall but they were very strict with hand carry and luggage. Before you go to departure hall, they asked you to stand on the weight machine and take note on your weight together with your hand carry. Phew! So strict! 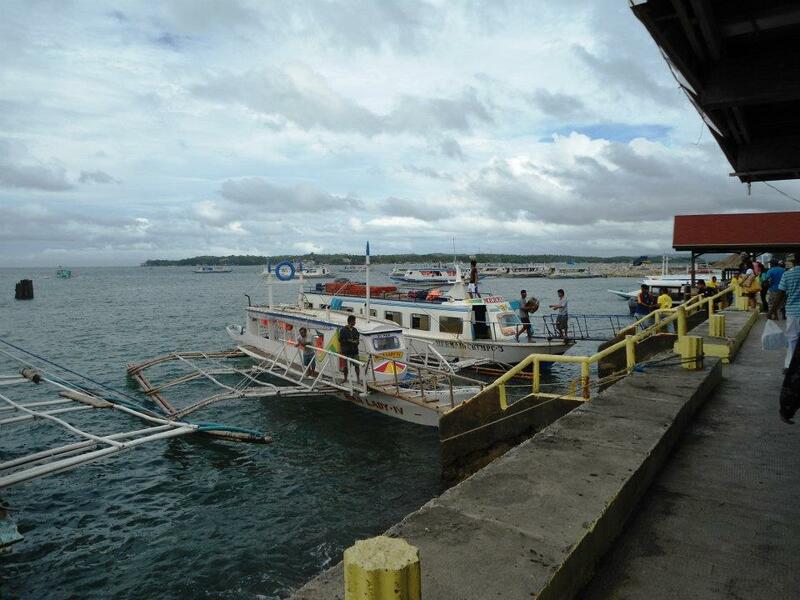 The flight from Manila to Caticlan (Boracay) took only 1 hour. We were using a small aircraft that I think can only accommodate 60-70 people at one time. I don’t know if it was just me that felt the plane landed roughly until at one point I thought it was going to crash. LOL. Not funny!!! Or maybe it’s normal for them. Hmph! It was almost noon when I reached at the hotel lobby. I gave them my booking receipt and they served me with cold coconut shake while waiting for my room ready. Awesome! Again… the receptionists were fooled by my look and they talked in Tagalog with me. Hahahahaha. It was funny to see their face when I said I don't speak Tagalog and from Brunei. I went to see my room and the first word coming from my mouth was “WOW!”. 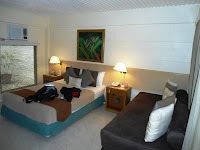 The room equipped with flat screen TV, a nice toilet, nice bed and couch. Wireless is free around the building but the signal is low inside my room. It didn’t bother me much. I had a quick shower and went around the hotel area. They have a nice swimming pool, gym and rock climbing. Nice. It is the best 3-Star hotel and they won several awards too. I couldn’t wait to see the beach since the hotel is less than 5 minutes walk to the front beach. I brought my camera and took random pictures along the way. 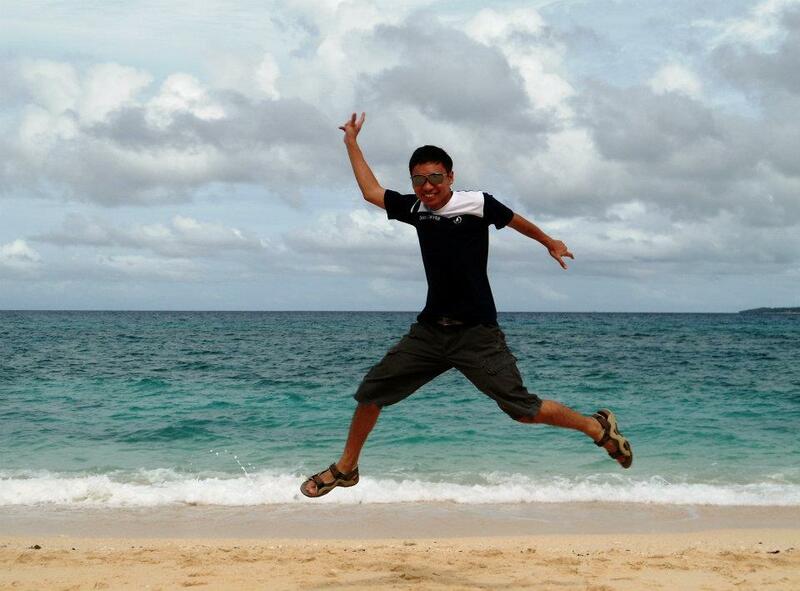 It was my awesome moment when I set my foot on that white sandy beach! My heart straight away filled with happiness and excited to walk on the beach. I took more pictures and walked towards Station 1. I could see a familiar rock from far and walked faster toward it. Willy’s rock! 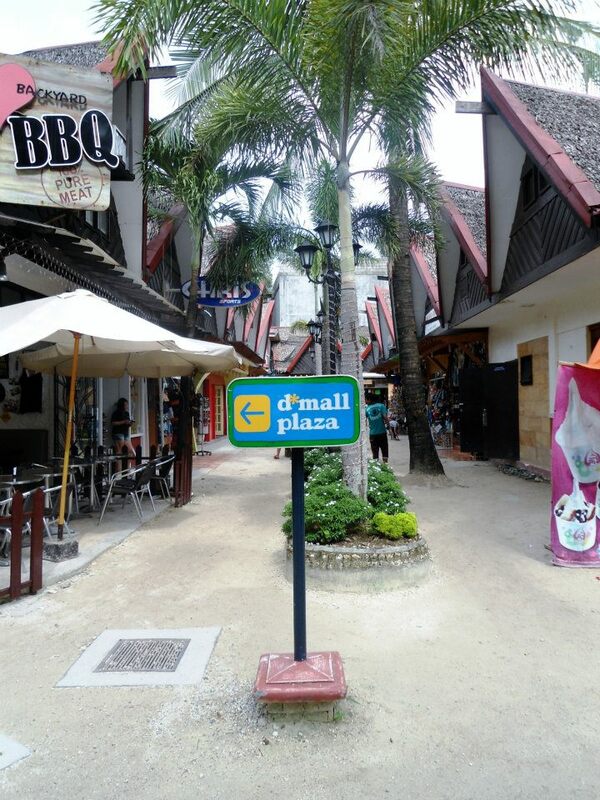 I went around exploring and reached D’mall. 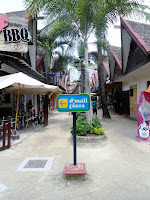 This place offers a lot of eating places, shops, electronics and banks. It’s a one place for everything you want. They also have crepes café and Starbucks! Don’t compare these crepes with Harajuku Crepes but they still offer decent flavours. I walked in circle around D’mall area and I couldn’t tell which exit I should go. I was officially lost direction on my first day! Awesome! It took me almost 1 hour to find my way to the hotel. Yikes! My first night I didn’t do much. Dinner. Walked along the beach. Took some pictures and witnessed some performances (live bands, fire dance) between Station 2 and Station 1. I slept early that night due to tiredness and sleep deprived. After my breakfast, I went strolling along the beach and thought of treating myself on this special day. I searched for some cheap activities. There are a lot of activities you can do here, mostly water activities. 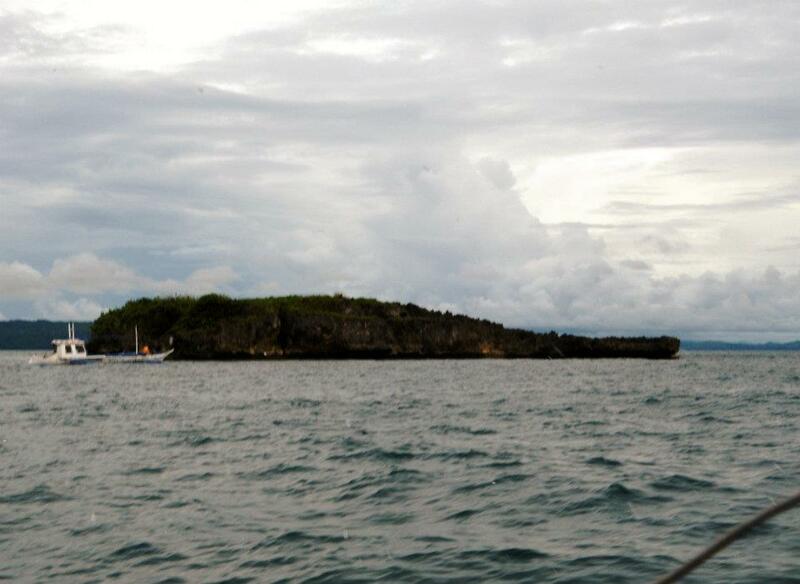 Kayaking, island hopping, scuba diving, jet skiing, parasailing to name a few. 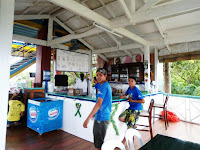 Many locals operating these activities will approach you with some brochures suggesting you with the best price for your choice of activities. They are really flexible and this is the best time to test your negotiation skill! 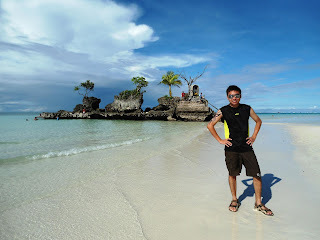 I came across with this tour guide, Joice, who was very kind and offered me to have ATV ride around the island to Puka Beach and go to the highest point (Ocean Tower) in Boracay. I was like… hmmm… not bad. 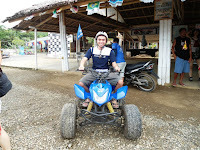 For PH700, I got a 2 hours tour with ATV around the island. I said to him that I would be ready at 10am coz I need to get my camera left in the room. 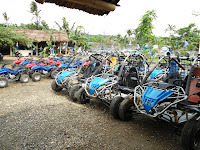 Exactly at 10am, we leave the beach and use shuttle bus to their place where I could rent my choice of ATV. There was lots of Korean when I reached the place. Joice talked to the staff and introduced me to them. A moment later, someone was giving a short briefing about the place and what to expect during the tour. I didn’t pay attention to him coz I was busy with my camera and looking around the place. Lol. He walked towards me and introduced, Wing-Wing, who would guide me during the tour. Joice had to go back and instruct me to use shuttle bus to go back to my hotel after the tour. Okay man… Got it! I choose a small ATV and Wing-Wing with his own bike. 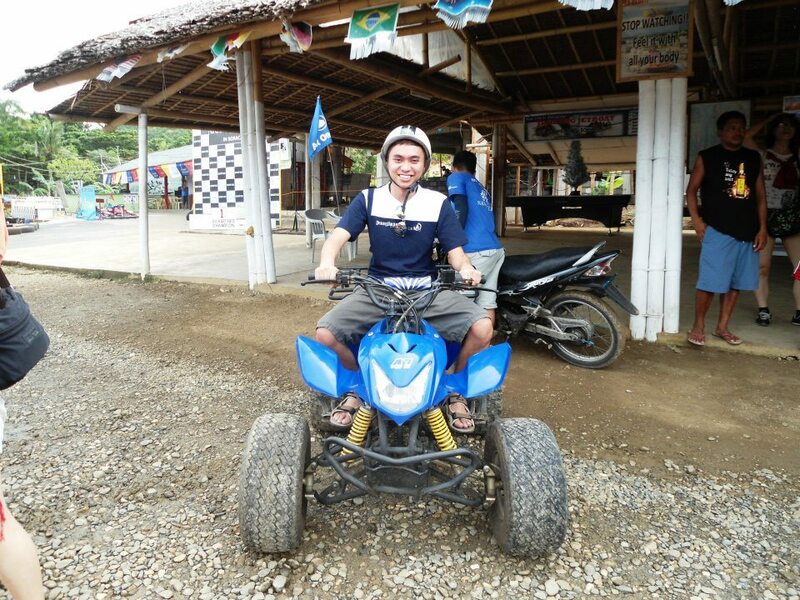 That was my 2nd time to ride on ATV and the longest time I rode on it so far. It is a good chance to look around the island on ATV as you can see the normal life of people living in Boracay. We passed several schools, hotels, shops along the way. 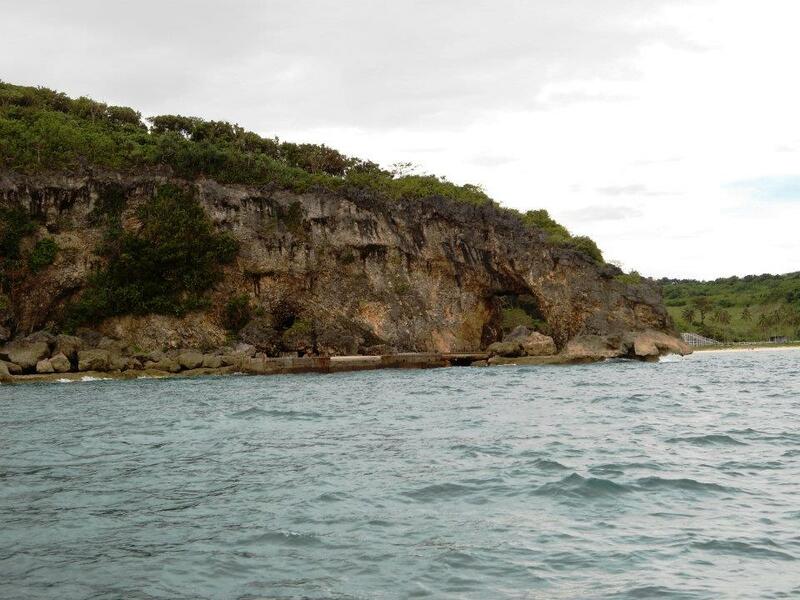 It took us a good 15 minutes to reach Puka Beach. 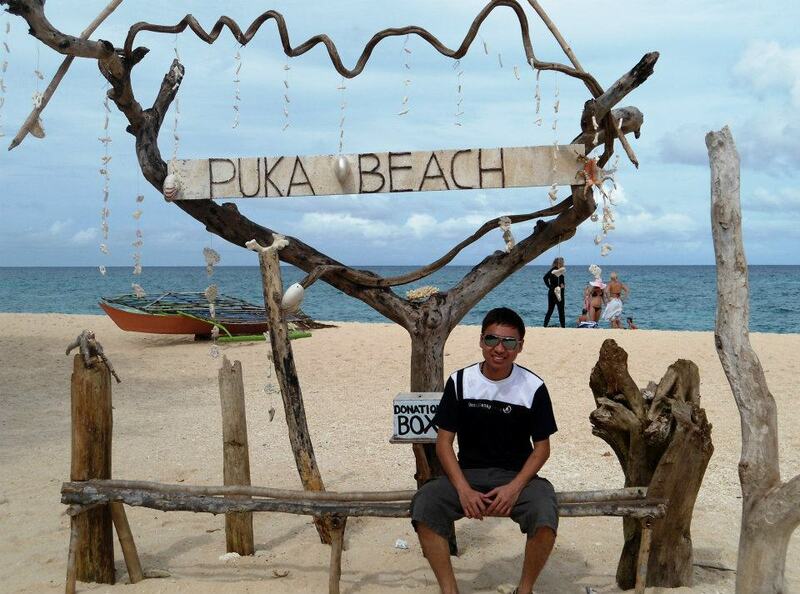 I read some information in the internet about Puka Beach and expected to see and experience it like other tourists before me. Well…. The information still stand true. White sand, azure water and quieter compare to the front beach near my hotel. 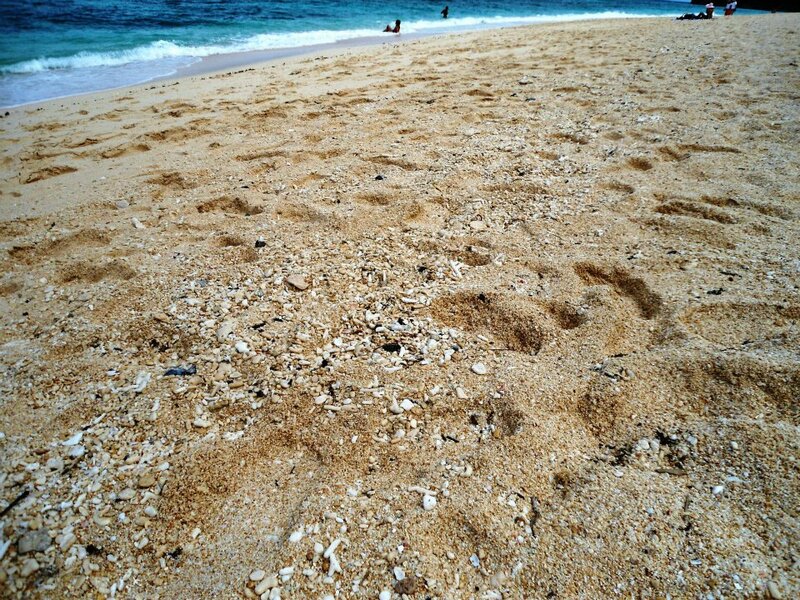 The beach has so many small Puka shells scattered everywhere. I asked Wing-Wing if I could take some of big shells I found on the beach. He said yes. Wrong! I didn’t think he knows it that the authorities there protect the beach. 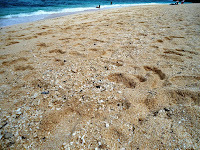 Leave nothing but footprints! I took many pictures around the beach and strolled on the beach for about 20minutes. I bought a Puka shell as souvenir from a vendor near the beach. 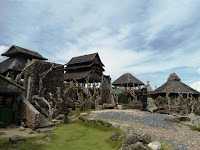 It is a good place to those who want to get a quiet and relaxing time, away from busy white sandy front beach. We then continue our ride to Ocean Tower. It was almost 11am when we reached there. Luckily the weather was nice to me. Sunny but cloudy. You need to climb the stair to reach the top. Once you reach at the top, the views are amazing! You can see the whole island from there. 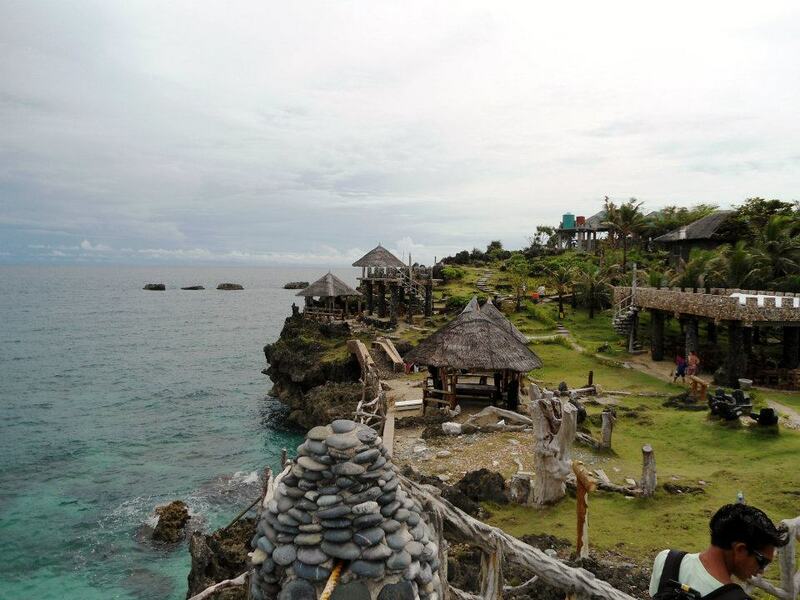 I could see Bulabog beach and front beach. I took several panorama pictures and wish I had a good DSLR camera. SIGH. 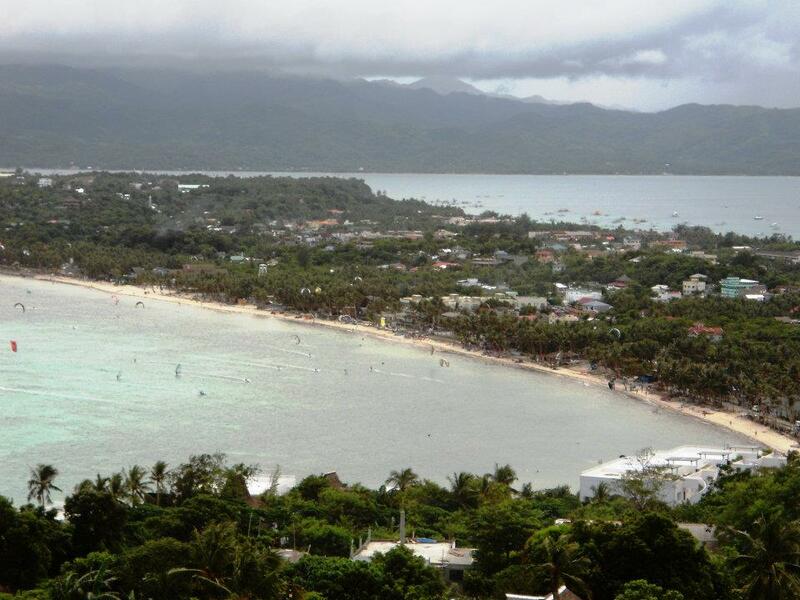 I had a good 10minutes at the top to appreciate Boracay’s awesome views. Wing -Wing was very helpful to assist me to take my pictures. 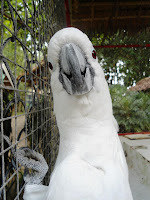 Our last destination was at bird zoo which is situated near to Ocean Tower. The area is small and not many birds to see. 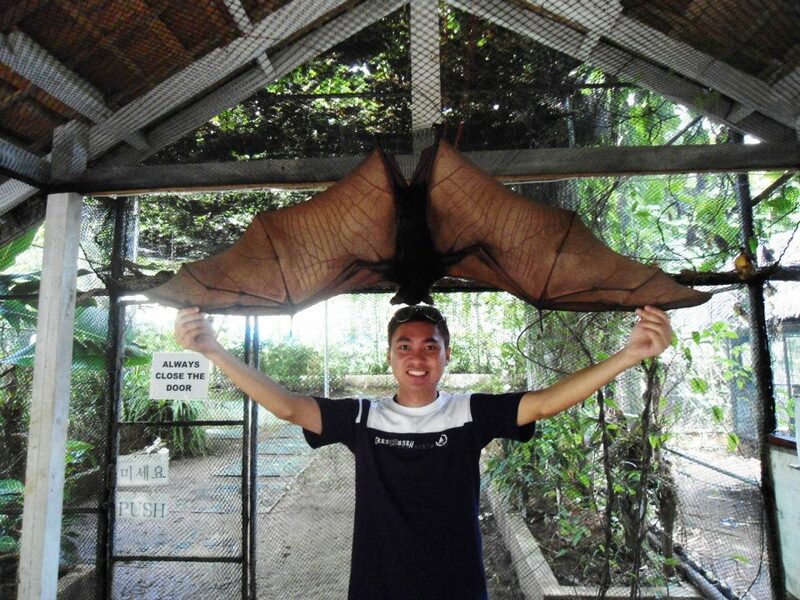 I think this was just ‘extra’ in my tour package but I had a good experience to hold and expand the bat’s wing. Lol. Hello, are you looking at me? We went back to Wing-Wing ATV place and I gave him tips for his kindness during the tour. Even though I had some difficulty to talk with him in English and several communications breakdown but it didn’t bother me much as long as he understood what I talked, that was good enough for me. While waiting for the shuttle bus, I talked with this Italian lady who went there with her son since her husband busy with work. Luckily you have son. Too bad. Lol. But she migrated to Australia with the husband. Bla bla bla. We really had a good chat. I was bored and that was the least I could do to kill time. Lol. I had my lunch at the hotel. Took a shower and lay on my bed thinking what to do in the afternoon. I received a message from Joice asking how the tour was. I said awesome and he offered me to go for reef walking that afternoon. I asked the price and the duration. He said PH600, 30 minutes, pictures and video included. Whoah! I didn’t think twice and I replied to him, I would ready by 2pm. 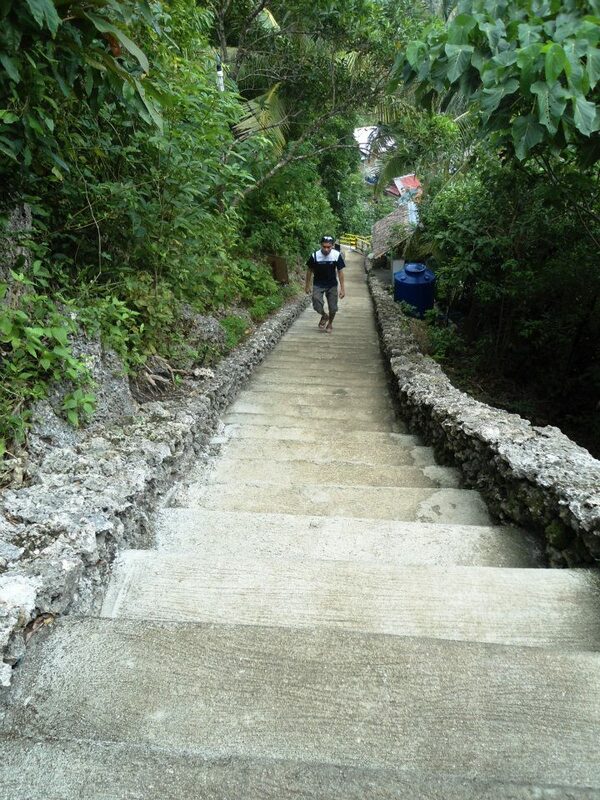 I met him and he guided me to the boat checkpoint. I had a chance to meet new friends from China (they said they live between China-Pakistan borders). I don’t remember 2 of their names… but I remember Asia, the hot lady. Funny name. Asia. Hahaha. Amazingly, the three of them are Muslim! I introduced myself and they didn’t know where Brunei is. Sigh. They were sponsored by their company to have an awesome vacation there. SERIOUSLY???? Okay… they went there in a group. A GROUP OF 60-70 PEOPLE. OMG!!! CRAZYYYYYYYYYY!!! So lucky! Anyway, we were taken to a platform in the middle of the sea. A lady greeted us and she gave instructions how to communicate with divers using simple sign language coz communication is difficult underwater. Hahaha. I recommend you to listen carefully! She said the helmet weight is 25 kilos. OMG! I was like… that’s half of my weight! But as you go down underwater, the helmet’s weight decreasing and eventually weight just 1kg at 5meters underwater (according to her). Yes. 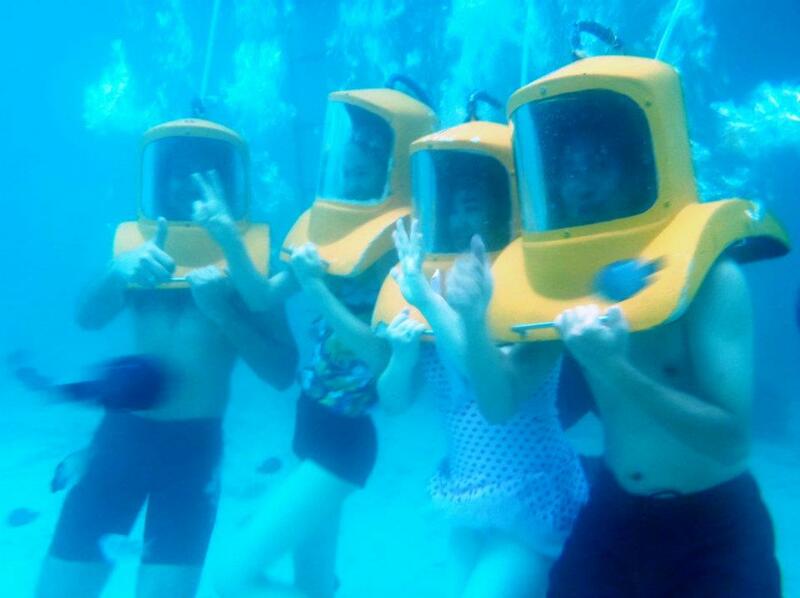 We went 5meters underwater. As my foot landed on the seabed… I could feel the pressure in my ears. It’s the same pressure when you are inside the airplane during descend. It was my awesome moment to experience and see underwater world: feed the fishes, touched coral reefs and walked freely underwater. We instructed the divers to take pictures and video. Utter awesome! Then we went up the platform, the lady gave a CD to me and a printed image of me on it. Cool. I really spent my day full of activities! That was a blast! Joice was happy to see us having fun and I discussed with him for my activities next morning. 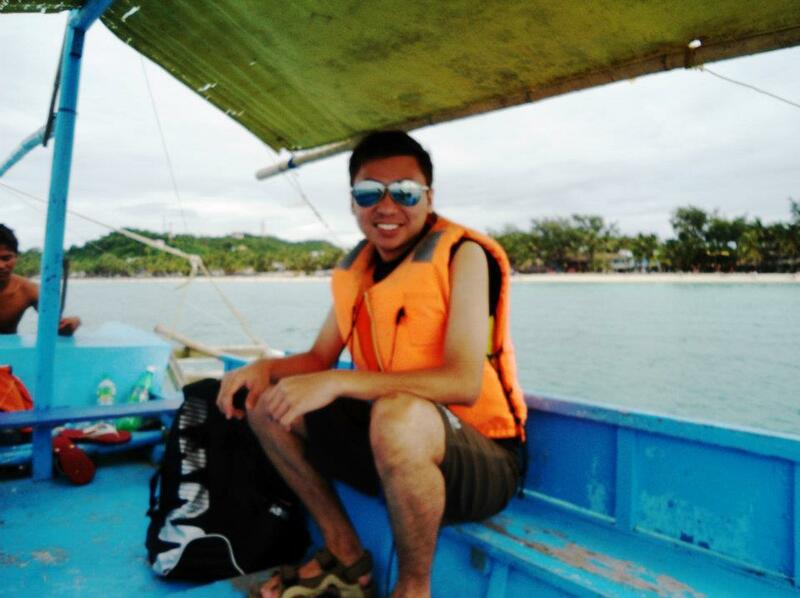 Island hopping! 9th December – I woke up late. 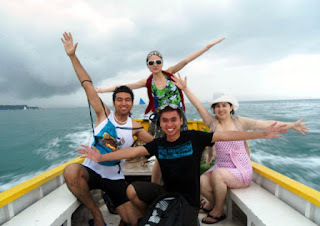 I almost forgot that I had appointment with Joice for my Island Hopping activities. I quickly rush to the shower room, had my usual omelette and got ready before 9am. I put 1 extra t-shirt, camera, extended battery for my phone and wallet inside my newly Reebok bag that I bought in KL. I met Joice at the beach exactly at 9am and he said “today is a nice weather”. I couldn’t agree more. The sea was a bit rough that morning. 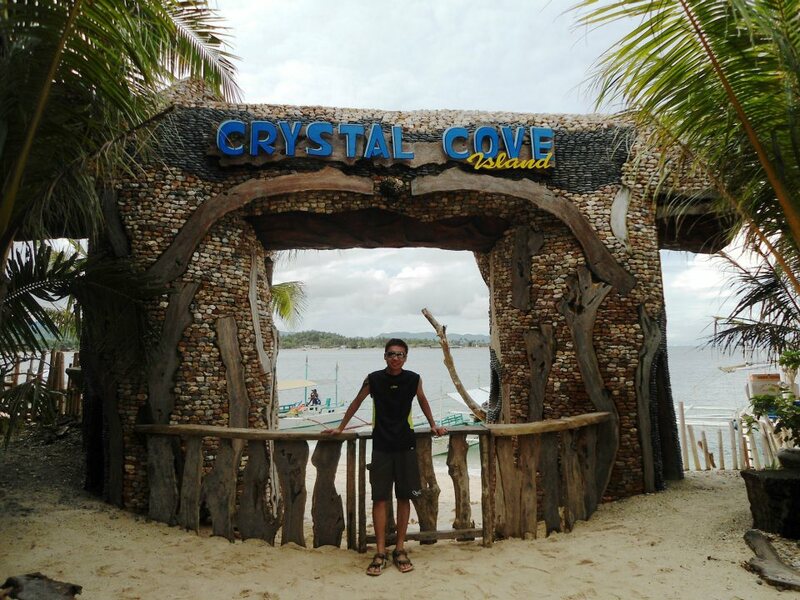 My first destination was at Crystal Cove Island. I don’t remember how much I pay for the entrance fee but it was cheap. No time limit. The place is amazing. Buildings structure look like it was built in medieval time. Ancient but incredible. 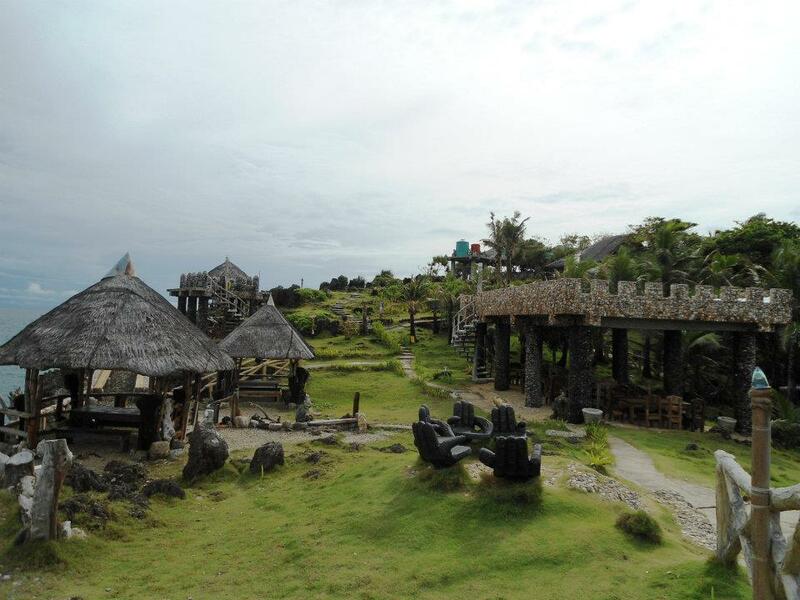 The view is breathtakingly awesome if you stand at one of the building and see the clear blue sea. 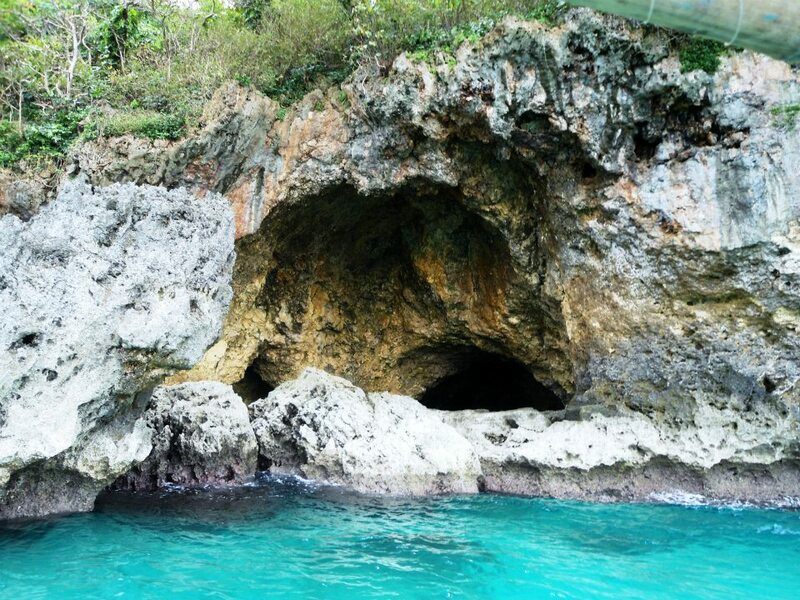 Joice told me the island has 2 underground caves. 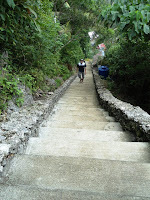 I went to the first cave and had to be extra careful and mind my step coz the stair was slippery. Then, we went to the second cave. 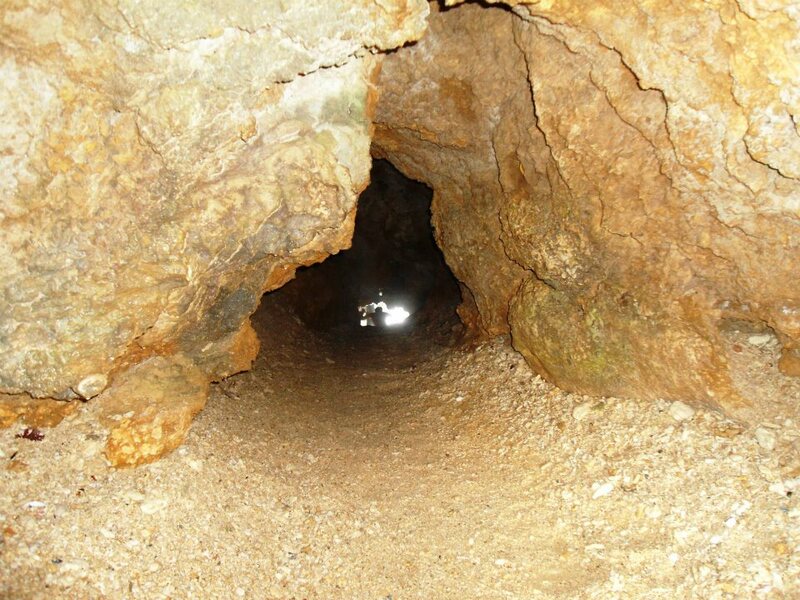 The second cave is a bit challenging. You need to crawl or walk with your head bend a little to reach the end of the cave. You can swim there but the wave is rough. I’m not a good swimmer. I don’t go there to have trouble or risk my life. Lol. 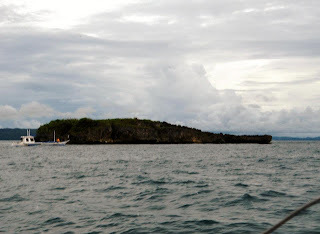 Then we proceed to next destination, Crocodile Island. The island really looks like a crocodile precisely the head part. We stopped there for…. Snorkelling! Sandro (the boatman) gave me goggle and I took my sweet 20 minutes of snorkelling. I swam here and there. Sometimes I had to catch the boat coz I didn’t realize I was a bit far from it. They provided me with breads to feed fishes. I love fish! I love everything what I saw! 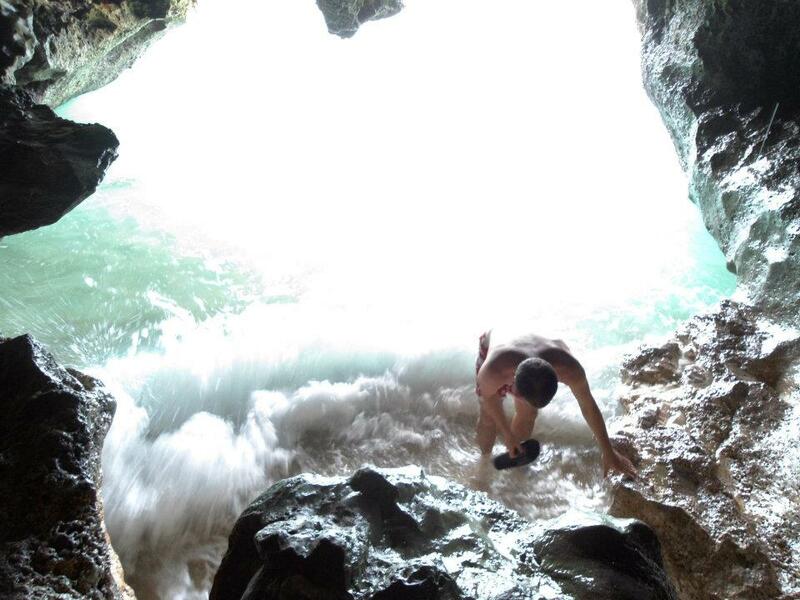 Too bad I don’t have waterproof camera. Oh well! Another wish list? 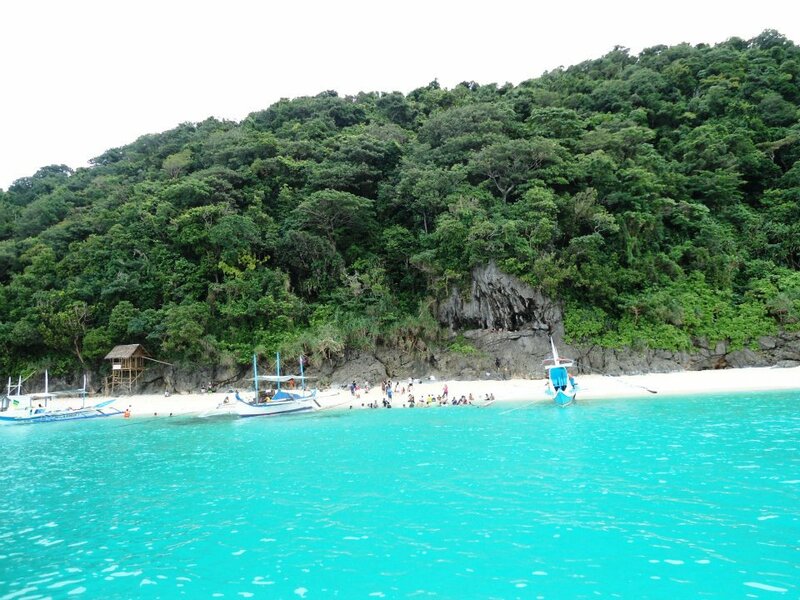 We continue to sail the northern part of Boracay Island. The wave was getting rough. Joice said “this area is opened to the ocean”. No nearby island. Phew! There was several times we had to slow down coz the wave was hitting the boat high. I could feel the boat swaying left and right wildly. I kept myself calm coz the boatman looks so cool and smoking. Haih! At least I felt save with my safety jacket strap around me. 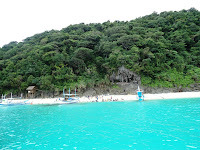 After we reached at the other side of Boracay Island, the sea was calm. 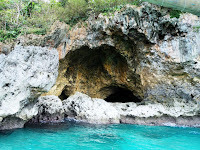 You can see many sea formations such as stack, arch and small caves along the way. 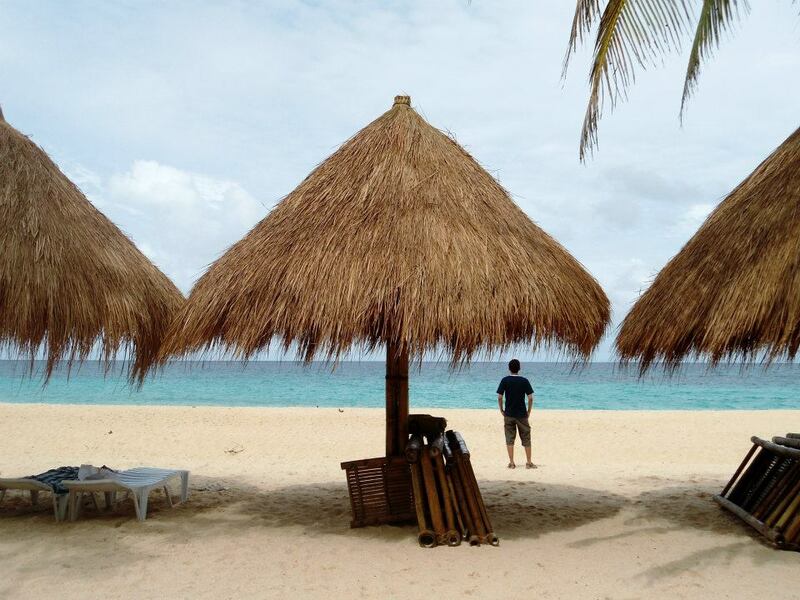 You also can see many hotels with their own private beach. 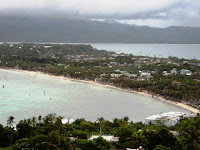 I could see Puka Beach from the distant and had my camera ready to take video. 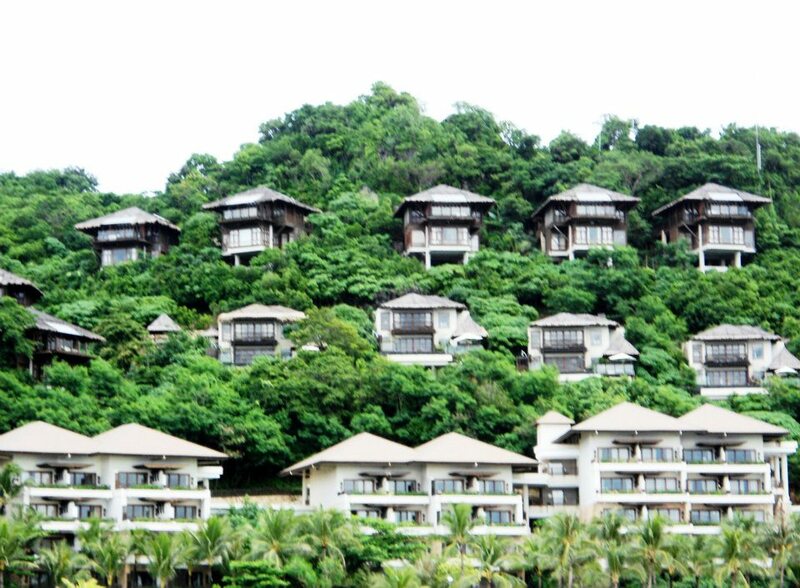 Our last destination was Shangri-la hotel. I took my chance to take pictures of the hotel and strolling on their private beach. I was stopped by the security there and asking if I was hotel’s guest or what. I said I just want to take pictures and walk along the beach. Lol. It was noon when we were there. 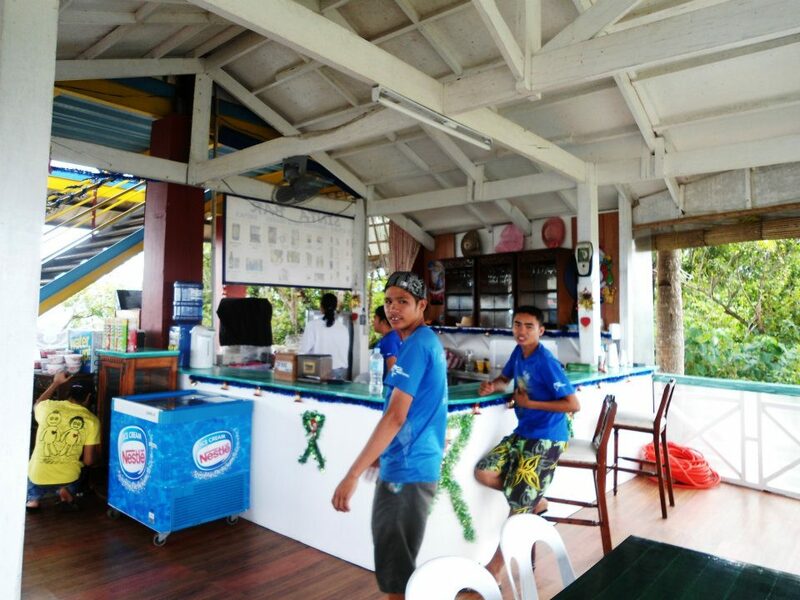 There is only one restaurant at the beach. I treat Joice and Sandro to have lunch with me. We had a good chat during lunch and again… this was not new to me “you look like a Pinoy”. I did try to converse with them with my knowledge of less than 100words of Tagalog language in my head. Hahahaha! 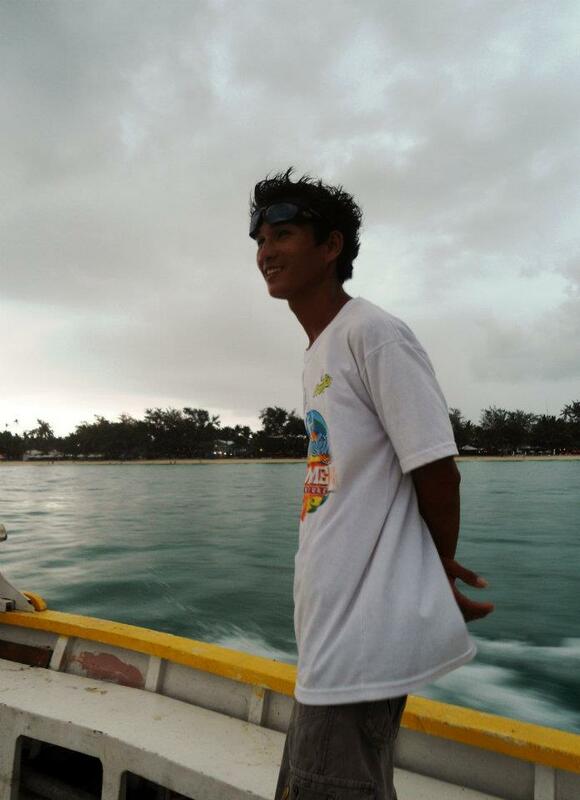 After 3 hours of island hopping…. I paid PH1500 to Joice. It was expensive coz I went alone but he said the price can be much lower if going in a group. I didn’t mind about the price as long as I had my good time and experience Boracay as much as I could. I thanked him for good hospitality and services. I would recommend him to everyone who is planning to go there. He can help you with activities and give you the best price. Trust me. I went back to my room and had a quick shower. I rested for few hours. Planking. LOL. 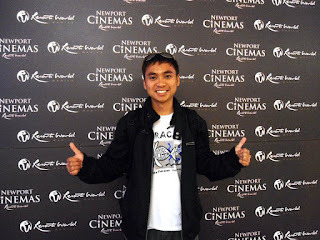 I wore as simple as I could coz I only wanted to walk around the place and my aim was to reach D’Talipapa. I looked at the map and I thought it would only take me 10-15minutes walk from my hotel. I confidently follow my steps and walked as if I already knew the place. Walked. Walked. Walked. I hadn’t reach there yet. I stopped a lady who was in front of me. I asked her where D’Talipapa is. She said I already missed it. Sigh. She gave me the direction and it’s supposed to be near to Radisson hotel. Sigh. 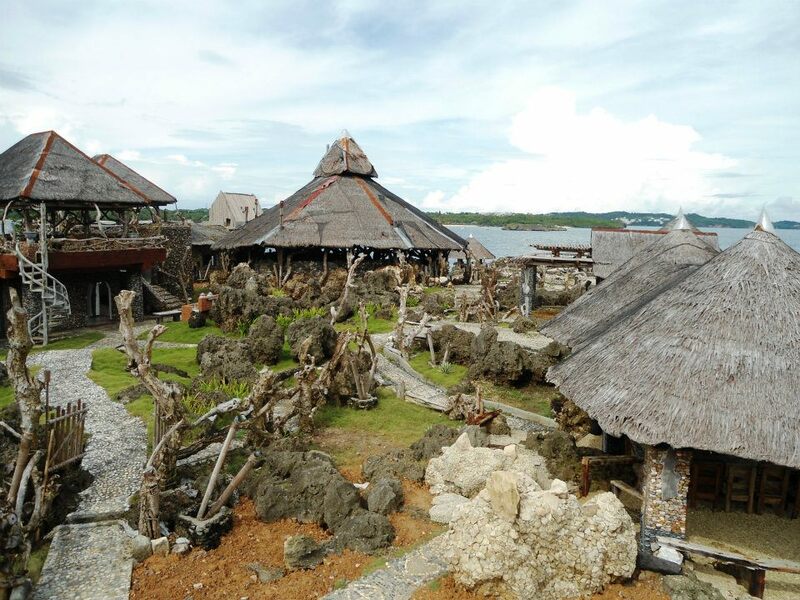 D’talipapa is a place for seafood lovers. 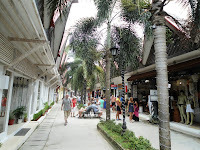 Many stalls sell fresh seafood as well as shops selling beach wears and souvenirs. I bought 5 t-shirts for PH350. CHEAP! At 10am, I went to try Jonas’s Fruitshake. 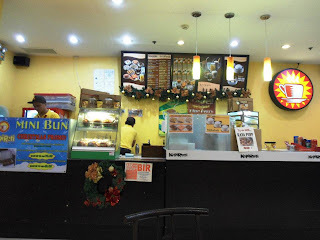 I tried their popular “Mango Banana” fruitshake. It was one of the best fruitshake I ever had! A must try! 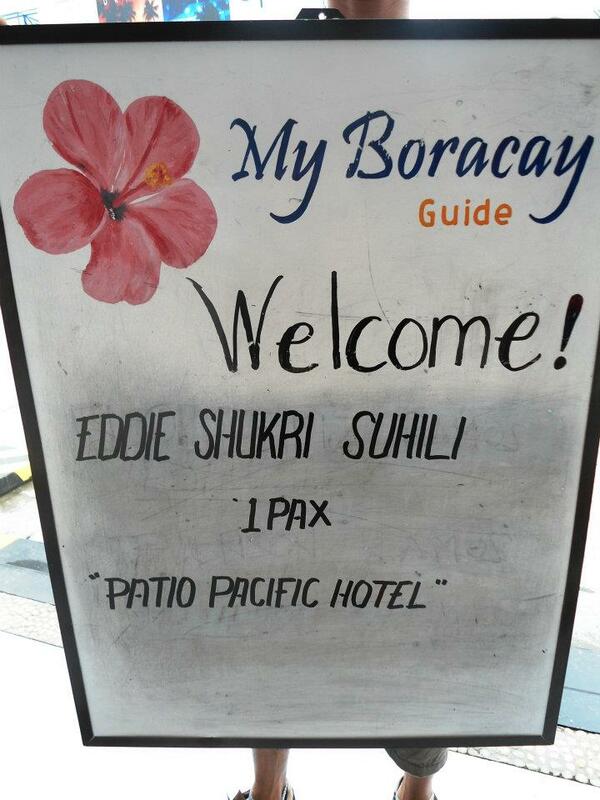 At noon, I had my lunch at Paradise Grill Restaurant and I ordered butter prawn. Everything taste so AWESOME!!!! My flight to manila was at 4pm from Caticlan (Boracay) Airport. 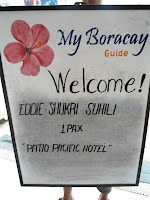 A transporter from myboracayguide.com fetched me at 2:30pm. Everything went smoothly. 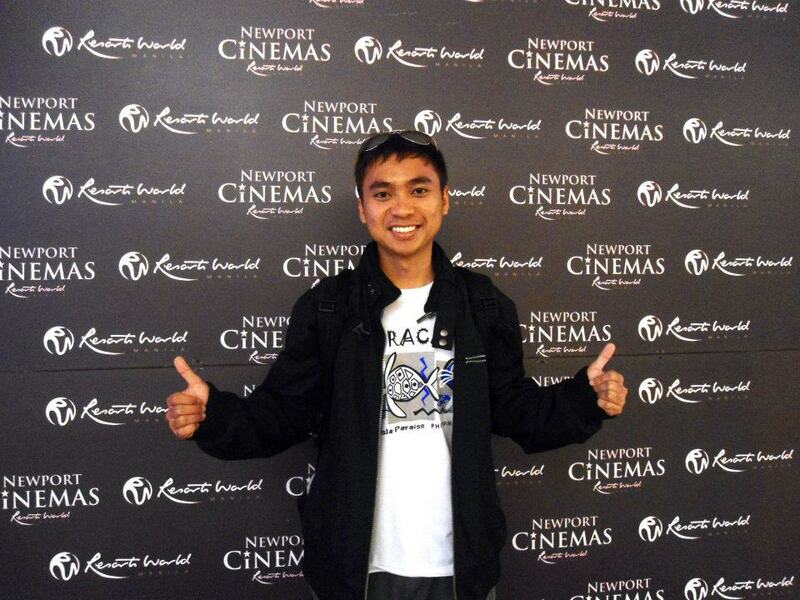 I was afraid my flight cancelled or delayed coz most of Cebu Pacific flights were cancelled that day. Lucky me! I reached Manila at 5:15pm and I contacted my cousin, Jamie, to see if she was free and available but she had an event in Tagaytay. Too bad. 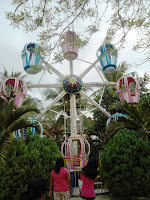 But she helped me to find my way to Resort World Manila to kill my time. I didn’t take the shuttle bus, I crossed the highway! Hahahaha! I reached Brunei almost 2am in the morning…… 11th December! Your trip seems awesome! Yeah, I see how you could be mistaken as a Filipino. Thanks for this post, great blog! Wow, you're so cool by traveling Boracay alone! 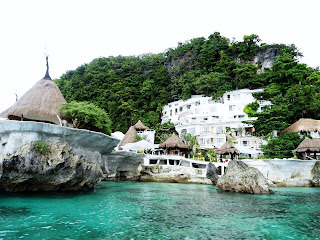 :) I also thought that it would be so boring to travel alone in Boracay, but you prove me wrong. Kudos to you! Thanks for the comment! one of the best vacation i ever had! hello, is there anybody else that you can recommend as tour guide?